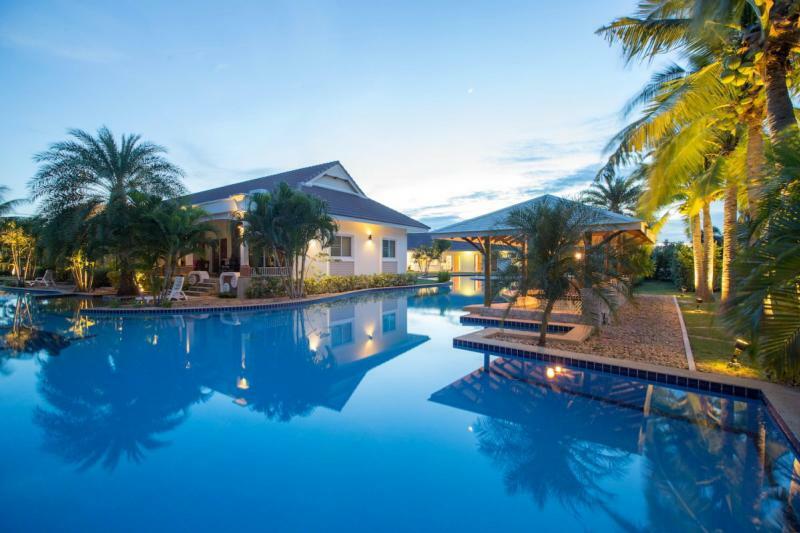 Two bedroom resort style town house in popular Smart House Resort is available for sale. 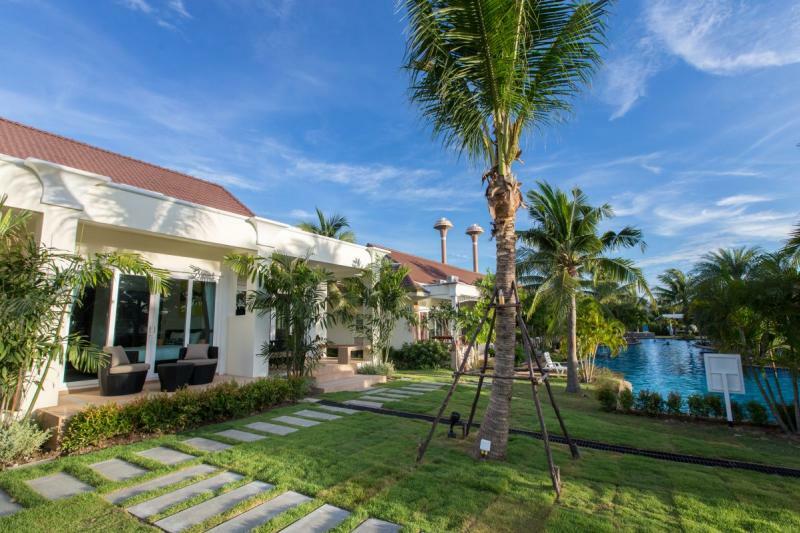 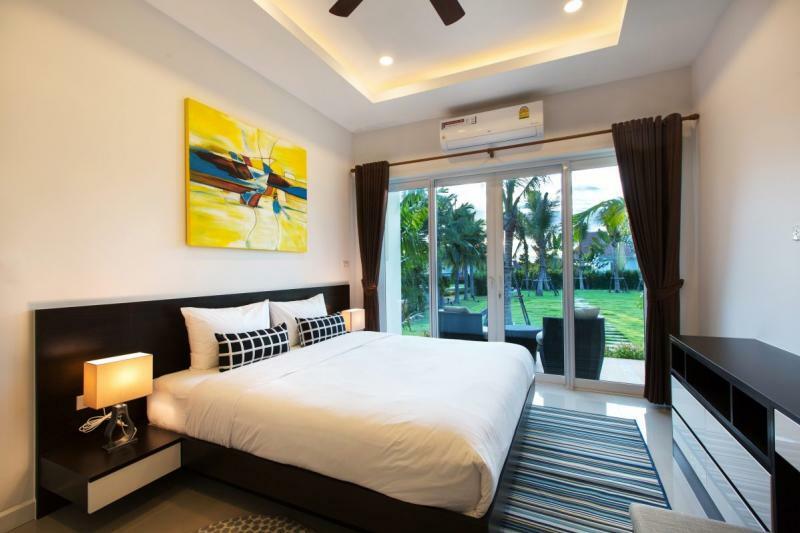 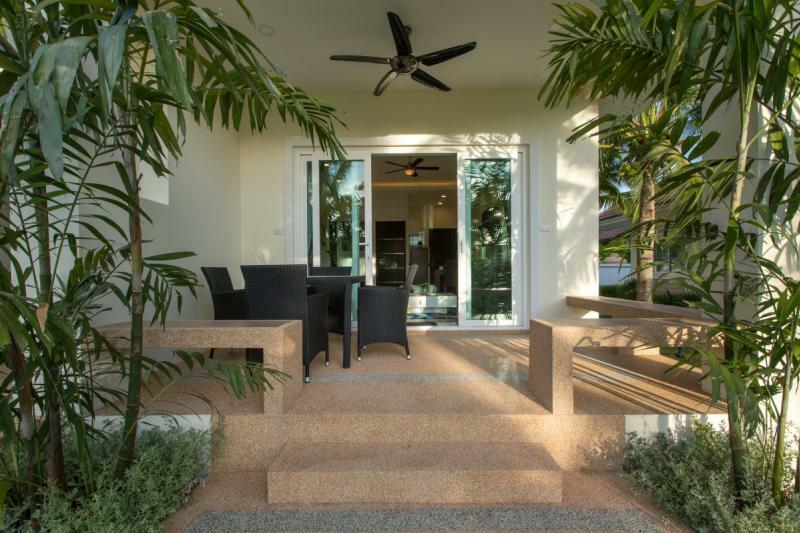 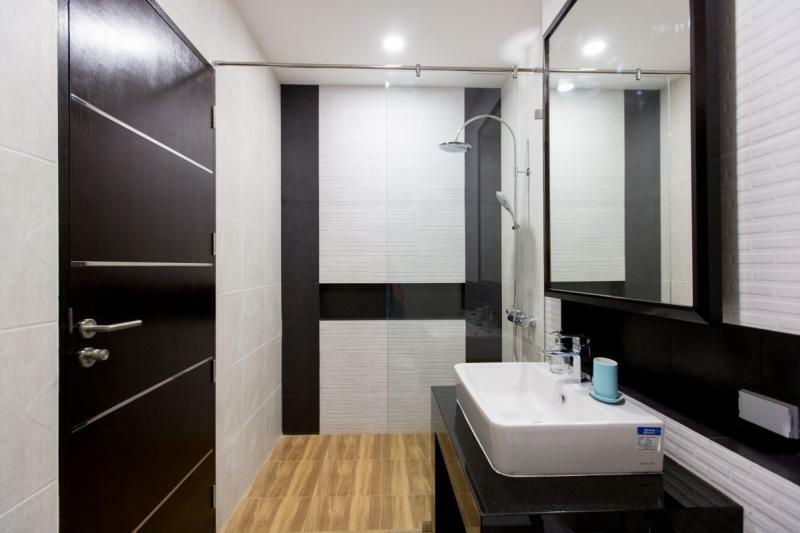 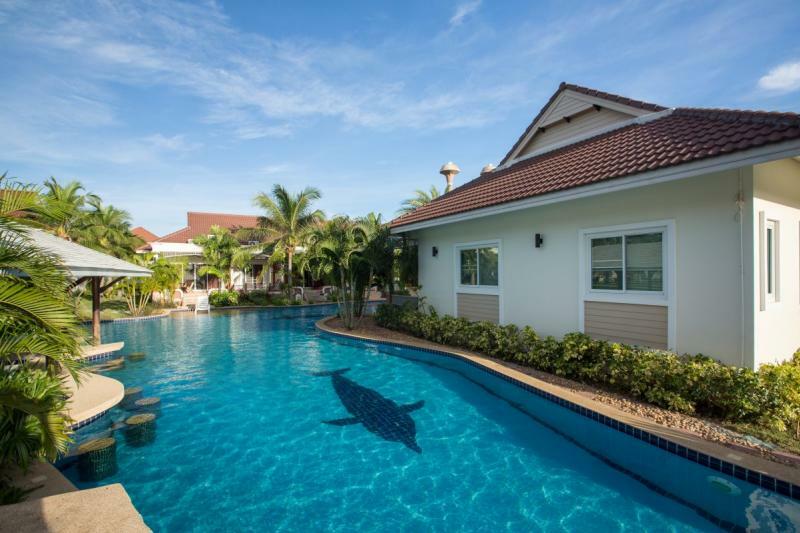 This property is located in the residential and resort project built by one of the most reputable developers in Hua Hin, only 10 min drive to city centre and the main beach. It offers very large lagoon pool and green area for the residents to enjoy and relax. 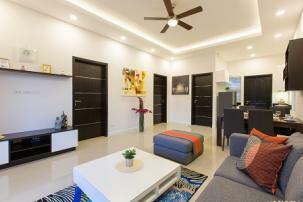 The development has 24 hour security, garbage collection, and shuttle bus to/from town. Perfect for couples holiday home or long stay residence. Excellent value for investment.